If you need to find how much our professional end of tenancy service will cost, contact the day-to-day customer care. It is possible to do this by dialling 020 3404 0500 or by utilizing the online contact page form. To make sure that no cash is withheld for cleaning prices by your landlord, reserve our expert and quality assured end of tenancy cleaning service right away! Excellent Carpet Cleaning specializes in supplying a very successful pro deposit back cleaning service, ideal for all consumers and businesses in Grove Park SE12. We have over a 10 years of experience in providing a excellent guaranteed move in and out cleaning service. The knowledge with tenants, property owners, companies and people who are purchasing or selling a property or home has allowed us to create a comprehensive tenancy cleaning checklist, which has been approved by a wide variety of landlords and real estate agencies in the area. If the property or home is not cleaned effectively, the house owner or manager may possibly withhold part of all of your tenancy deposit for cleaning charges. We all know what exactly they are wanting, and we are ready to clean any kind of property to meet their goals, and to guarantee that you get your bond back. Our end of lease cleaning company has the required means to achieve that, including: a well qualified and knowledgeable cleaning team, all specialized cleaning equipment, devices and resources necessary, as well as certified and risk-free specialized cleaning detergents. The skilled and effective cleaning staff comes at your property or home with all machines, resources, treatments and some other equipment to clean it throughout. You must have moved out your stuff before the tenancy cleaning is usually done. This service has no time frame. The staff can keep cleaning until every single thing in the cleaning checklist has been finished. Our post tenancy cleaning business provides you this service with a forty eight hour client 100 % satisfaction guarantee. Your property manager or landlord will do an inspection of the property before giving their bond back to you. 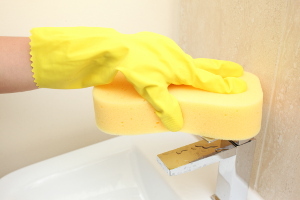 Booking our tenancy cleaning service will just take several mins. Either call up 020 3404 0500 or send us an online order here. Our client care staff are there for you personally day to day, so you will be obtaining written verification soon. Its not necessary to make an advance transaction for reservation, and we will not ask you to give any hidden fees when we are done with the cleaning. Our pricing is fixed as well as clear. You can receive a big low cost from the costs of our services, by booking 2 or more of them at the same time. Additionally, if you book our service early on in time, if you are a standard client or a owner or estate agency, we will provide you our unique advantageous prices for each of our services. Do not think twice to book our high quality assured, expert tenancy cleaning service today!